The new year means lots of newly engaged couples - am I right!? It seems like the busiest time of year for people to get engaged is the holidays, which means that when January comes around, it’s time to start wrapping your head around making it happen! I asked for feedback from recently married couples about the things they regret and the things they loved about their wedding day, so that it can hopefully help you navigate the road of deciding what you want to do! I want the day you get married to be full of the things that make you happiest. 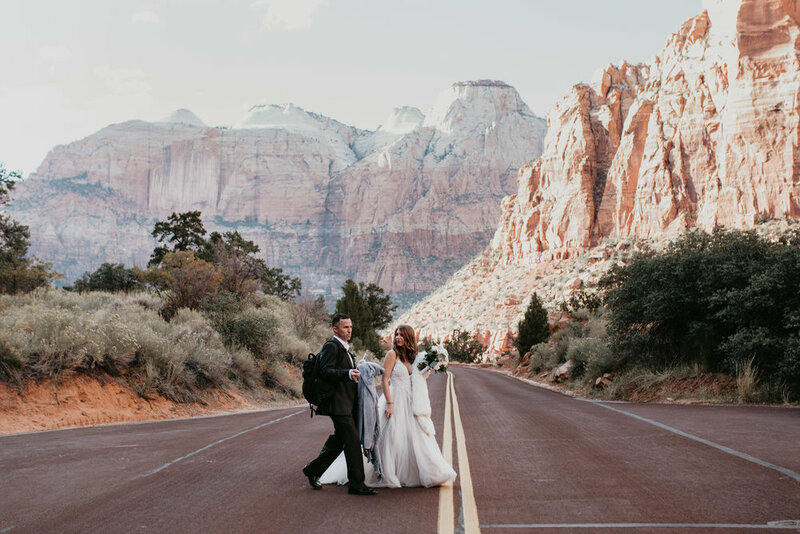 Whether you’re planning an adventure elopement or a wedding, there are lots of elements to think about. Here is the consensus of what others loved and didn’t love about their weddings + elopements, and I hope that reading these pieces of advice from couples that have been through it all can help you to make the best decisions for you! Splurge on a spa day the day before your elopement! Walk slowly down the aisle - pause to take it all in! If you have a reception, take a moment and go off to the side to take it all in! Take a day in between your wedding and honeymoon! That’s a wrap! I hope these tips help you in planning the best day of saying I do! If you’re recently engaged (congrats!) and planning an adventure elopement or wedding, get in touch! Let’s chat about how your day can be the best one yet!